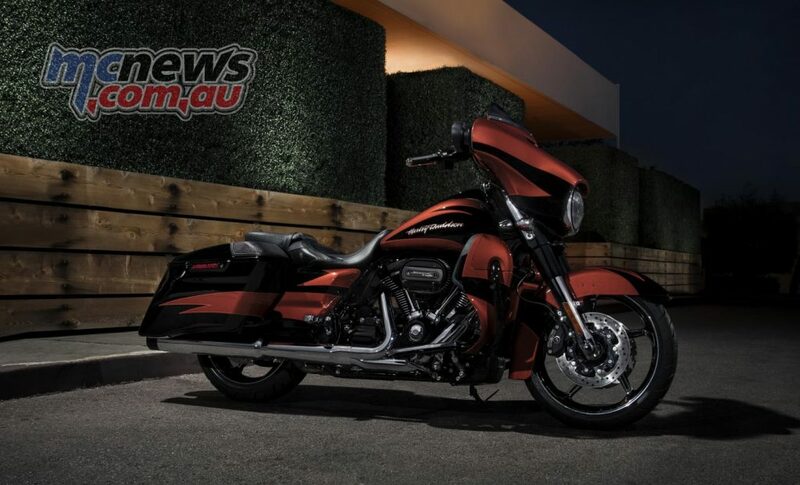 We covered Harley’s new Milwaukee-Eight engine, the ninth Big Twin in its history, in this short feature here, now we focus on the new suspension upgrades being introduced to the 2017 Harley-Davidson touring line-up. Emulsion style shocks, recently seen on the new Harley-Davidson Roadster, make an appearance at the rear of the new Harley tourers. This does away with the need to pump up the rear suspension bladders to set the rear preload on the touring models. 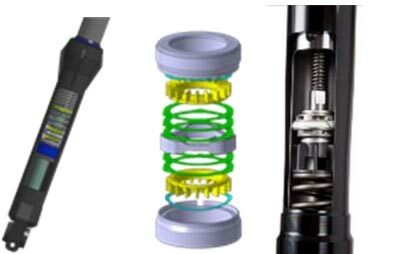 The new shocks also offer up to 30 per cent more pre-load adjustment than their predecessors, with adjustment made via a hydraulically assisted knob. At the front of the 2017 H-D touring motorcycles Showa will provide their new SDBV forks. First shown by Showa at EICMA two years ago, it is a new style of fork internals that utilise a new Showa Dual Bending Valve structure to give cartridge style fork performance but at a lower cost and weight than full cartridge style forks. 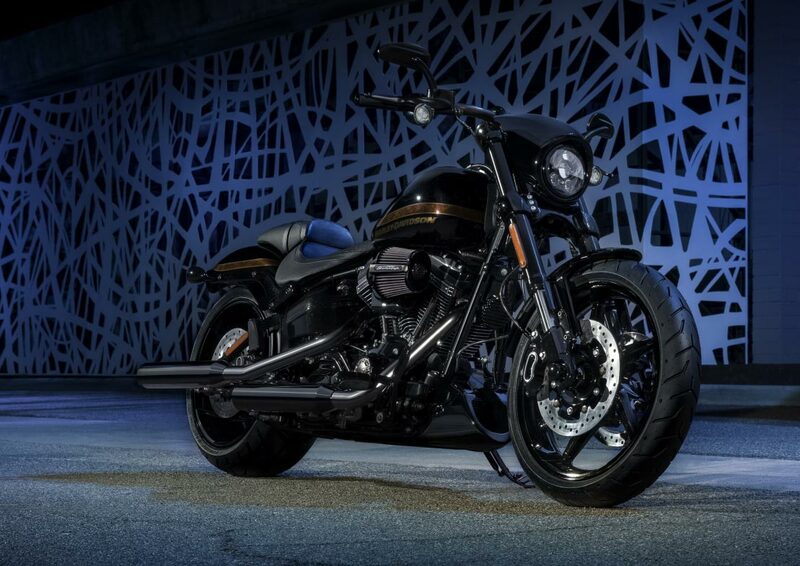 The Harley Touring models already had the best chassis and suspension performance in the entire Harley-Davidson line-up, with this latest improvements, and the new Milwaukee-Eight engine, these new models will be extremely sought after. Make mine a CVO Street Glide thanks with the bigger Milwaukee-Eight 114-cube, 1870cc engine and to add to the soundtrack further the CVO Street Glide also scores a four-speaker, 600-watt stereo system. 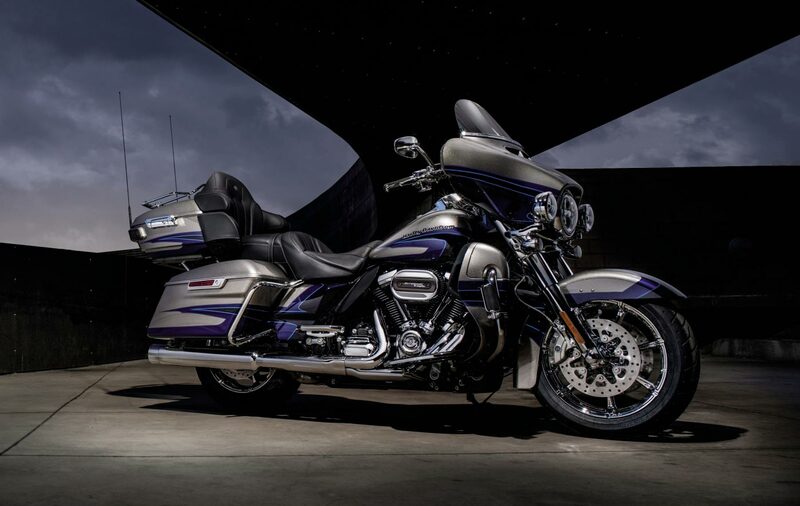 Other Custom Vehicle Operation machines include the biggest bagger of them all, the CVO Limited. CVO have also produced a Pro Street Breakout to top the Softail line-up for 2017. Only the Touring models score the Milwaukee-Eight engine for 2017, thus the CVO Breakout retains the Screamin’ Eagle Twin Cam 110B air-cooled V-Twin engine. The 2017 Harley-Davidson Street 500 motorcycle is now available with ABS and the Harley-Davidson Smart Security System with hands-free, proximity-based security fob, each as a factory-installed option. 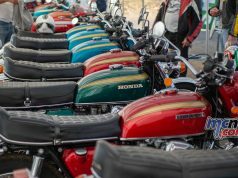 Additionally, 2017 Street 500 can be optioned with new two-tone paint schemes which include Vivid Black Deluxe and Fire Red Deluxe.